- Monday's RAW, featuring fallout from the WWE Royal Rumble pay-per-view, drew 2.703 million viewers. This is up 9.8% from last week's 2.462 million viewers for the Rumble go-home episode. For this week's show, the first hour drew 2.816 million viewers (last week's hour 1 - 2.840 million), the second hour drew 2.718 million viewers (last week's hour 2 - 2.403 million) and the final hour drew 2.575 million viewers (last week's hour 3 - 2.143 million). The post-Rumble RAW is traditionally one of the highest rated shows of the year. Last year's post-Rumble episode averaged 3.395 million viewers, topping this year's number by 25.6%. - Last night's WWE RAW saw Lio Rush take shots at WWE Universal Champion Brock Lesnar and Finn Balor, while praising WWE Intercontinental Champion Bobby Lashley over them. Rush took to Twitter today and doubled down on those comments, saying Lashley is greater than Lesnar on any given day. 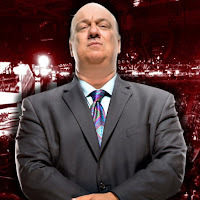 Rush used a "#TheAlmighty" hashtag but that led to Paul Heyman calling him out on Twitter. Heyman praised Rush, saying he has a huge future, but then knocked him for not calling Lashley "The All Mighty" as it is spelled on his official WWE t-shirt and elsewhere on the WWE website. Rush wrote, "Just so we're clear.....Bobby > Brock on any given day. That little twerp Finn wouldn't stand a chance in hell against #TheAlmighty @WWE @fightbobby"
Heyman responded, "I like @WWE @itsLioRush. He has a huge future. Tremendous talent, super young, only going to get better and better and better. But if you're going to call out @BrockLesnar on behalf of your client, at least spell your own client's nickname correctly. IT'S ON YOUR SHIRT, LIO!"